Steph's Stampin' Stuff: By LORi Designs Challenge #10! 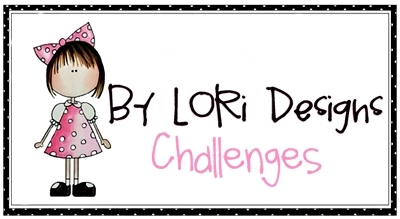 By LORi Designs Challenge #10! I'm a bad card maker. I can't seem to find time to sit down and make them lately! It's super depressing because I really enjoy creating, however, my daughter does need to come first and she's been very demanding these past couple of weeks. On top of that, we also had some tragedies happen in our small town that required my husband's and my attention last week. However, I didn't want to miss a By LORi designs challenge so I made sure to make a card for this week! 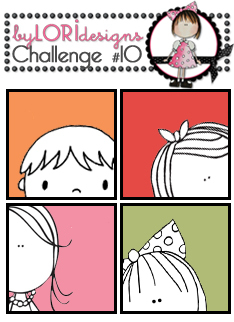 Check out this week's color challenge! It's a crazy color combination but I actually thought it was fun, yet challenging! 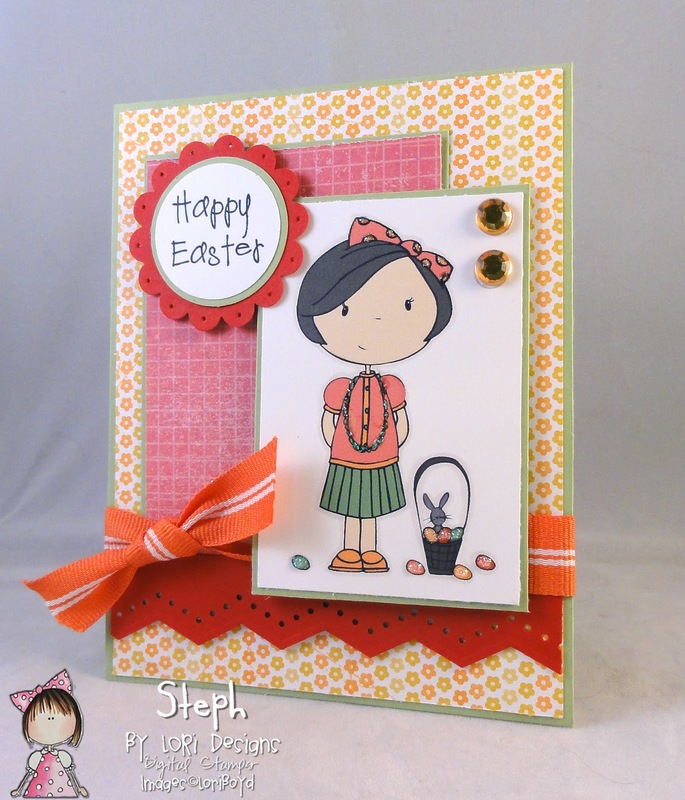 :) For my card I used this adorable new image called "Easter Lyla"! I have an Easter project in mind that I want to create this year so when I saw her, I knew she would be perfect for it...stay tuned in the future for that. Alright, back to today's card! So confession time...if you hadn't already noticed (which I'm sure you did), I colored my image a little bit differently this week. I actually cheated for the first time and used the computer! WHAT??? Don't shun me! It's something that I have always been interested in trying so since I didn't have much time this week, I went for it! As for the rest of the card, the sketch I used is from this week's Mojo Monday sketch and the paper is a variety of old Stampin' Up! designer paper. I added some stickles to the image as well as a few fun little rhinestones to finish up the look! Well I hope you all enjoy my card! Don't hate me for my lack of posts and cheater coloring! I appreciate all of you who have stuck with me so far. I'm not sure there are many of you left but I hope you know that those of you who are, mean SO much to me! Thank you! Hello from TN...never deleted you from my favorites list and so glad to see you back. Congratulations on your baby, she is beautiful!!! Beautiful Card. A big Hug from Puerto Rico. Cute card and I love the papers you chose.